This database of the Heidelberg Research Architecture (HRA) is linked to a collaborative project funded by the Social Science and Humanities Research Council of Canada and the German Humboldt Foundation. It is currently expanding with additional funding from the Chiang Ching-kuo Foundation ecpo.uni-hd.de. This joint project is conducted by researchers at York University, Toronto, Academia Sinica, Taiwan and the Heidelberg Centre for Transcultural Studies, Heidelberg. The primary objective of the project is to restore complexity to early-twentieth-century Chinese history by liberating that history from its own reductive discourses on the failings of tradition and the promise of modernity. 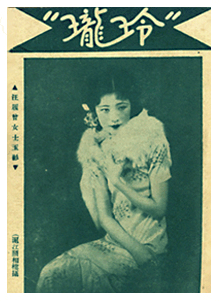 The database has been created to facilitate research on the project's instrument and object of investigation: the commercial periodical press, a new medium that dominated the contemporary print market and became one of the prime sites for the dissemination of knowledge and the production of culture in early twentieth century China. In particular, our focus is on four seminal women's or gendered journals-a key genre of the new media-published between 1904 and 1937. They include Nüzi shijie (Women's World, 1904-07), Funü shibao (The Women's Eastern Times, 1911-17), Funü zazhi (The Ladies' Journal, 1915-31), and Linglong (Elegance, 1931-37). Historicizing and contextualizing this new medium, our methodological approach to these materials combines "horizontal" and "vertical" readings of the journals. Horizontal readings restore integrity and materiality to the popular press by approximating the ways journals were read in their own day, not as repositories of disembodied and disconnected articles, images, and advertisements but as organic, physical texts embedded within specific cultural contexts. Vertical readings historicize the contents of the popular press over the first three decades of the twentieth century as the medium shifted from more intellectual, politically driven journalism, to increasingly commercialized, market-driven journalism. We trace across journals and over time the emergence of new topics such as hygiene, new social categories such as the "new woman," and new genres such as free-verse poetry. We are, however, particularly attentive to the persistence of established cultural forms, and to the myriad ways new concepts and narrative devices merged with and recycled the old. The database is central to the achievement of the project's intellectual and methodological aims. Comprehensive in scope, it provides richly graphic scans of or links to digitized versions of the four journals that are the focus of our study, together with comprehensive metadata on the content of the journals—including discursive essays, photographs, advertisements, fiction, and poetry—and on their editors, journalists, and contributors. The database not only provides online access to digital copies of the journals from cover to cover - it’s search and browsing features also offer researches access to indices of articles, illustrations, advertisements, key terms, and all types of persons. It mobilises and interrelates various bodies of data (e.g. visual and textual) within the same tableau. It enables the scholars involved in the project to create horizontal and vertical narratives and create interconnections between them. The database, then, is not simply yet another electronic archive. Instead, it is to serve both as a meta-tool and a new form of historical narrative. The database is of interest to scholars of cultural history and of Chinese cultural, print, literary, women's, and art history. It offers students and non-experts a window onto the Chinese historical experience that goes beyond the grand narrative of the communist revolution, reductive notions of Asian values, and orientalized images of the sick men and the obsequious and bound-footed women of China. What an AMAZING database!!! You people will truly change the face of research with this project! It is SO useful and SO user-friendly. I am sure it will generate a huge upsurge in research on this period and on women & publishing in this period. It really is fantastic. I have spent a few hours just playing around and exploring and it's been a sheer pleasures. Yesterday, I used the new women's magazines website in search of articles that might fit into the revised first chapter of my thesis/manuscript. This database is AMAZING! Next to lots of articles for the chapter, I immediately found useful articles for my next project (also known as the source for procrastination). Unbelievable how easy it works. CONGRATULATIONS on a wonderful result of the TransCOOP project!!! It really shows how much work went into it! The York Centre for Asian Research (YCAR), York University, Toronto, Canada. The Institute for Chinese Studies, Center for East Asian Studies, Heidelberg University.